1 What are the side effects of Sleep Apnea? 3 Can Nasal Strips Cure Your Sleep Apnea? 5 So, Is CPAP a better Substitute to Nasal Strips? We’ve all had a cold from time to time, and usually, the cold is accompanied by nasal congestion. The cold can get so bad, that you find yourself snoring most of the time while sleeping. Many of us take decongestants which help ease breathing while others use nasal strips to free up the nasal passageways for easy breathing during sleep. So, if nasal strips help during episodes of severe cold, can it help treat sleep apnea? Or at least reduce the intensity of snoring? Millions of people around the world have Obstructive Sleep Apnea, that is, the muscles and soft tissues around the throat area collapse while sleeping cutting off air from entering your lungs during sleep. This causes loud snoring and difficulty in breathing and can even stop breathing for long periods of time during sleep. This deprives the brain of precious oxygen causing episodes of gasping during the night. Sleep Apnea puts you at risk of fatigue, high blood pressure, a rapid irregular heart rate which may cause stroke and due to lack of sufficient oxygen to the heart strains it which can cause congestive heart failure. diabetes and a higher danger of deadly accidents. The problematic part of Obstructive Sleep Apnea is that millions of people around the world have no idea they even have it. Most people usually assume that they’re just snoring and get the wrong help or even ignore the problem. Before you know if nose strips for sleep apnea or continuous positive airway pressure (CPAP) is a good choice for your obstructive sleep apnea, you should probably know what are nasal strips for sleep apnea. 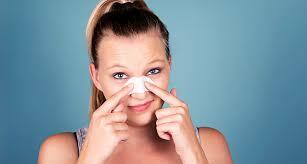 Nasal Strips are flexible adhesive straps that are fixed on the side of the nostrils. It’s basically like a bandage fixed across your nose. Nose strips for sleep apnea include breathe right strips sleep apnea assistant. The breath right strips sleep apnea assistant hold open the anterior nasal aperture stopping it from collapsing. This allows more air to pass along the nasal passageways. 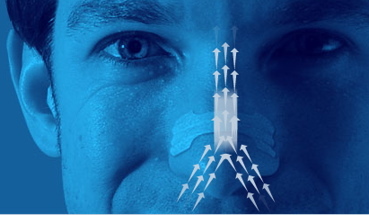 This is how nasal strips for sleep apnea work. By letting more air through the nose, breathing is eased and at a normal rate. This allows for more consistent breathing. This is how nasal strips work in reducing snoring and sleep apnea. 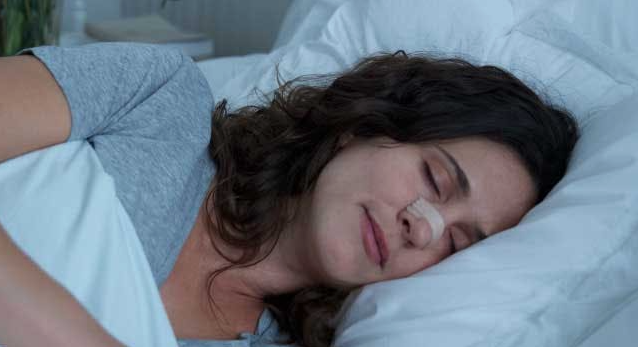 Can Nasal Strips Cure Your Sleep Apnea? in lessening sleep apnea. Some of the applicants experienced an improvement in their quality of sleep. some felt less fatigue during the day due to better sleep. Another study observed that the nasal strip did little to help improve snoring if you have obstructive sleep apnea. So, we see that for the more intense cases, Nasal Strips may well assist the patient to breathe more deeply, but doing little to help with their Obstructive Sleep Apnea. So, Is CPAP a better Substitute to Nasal Strips? Obstructive sleep apnea, snoring and lack of air entering the lungs causing you to gasp for air in the middle of the night which is caused by the collapse of the soft tissue and muscle, will most likely not be improved by use of breathe right strips sleep apnea nasal strips or external Nasal Dilators since the barrier is not removed at all. A CPAP (continuous positive airway pressure) machine allows Patients wear a nasal mask while sleeping. The mask which is connected to a pump provides a contact flow of air into the nasal passageways in order to maintain the free flow of air during sleep which effectively stops the shortage of breath associated with obstructive sleep apnea. The pressure from the air maintains open airways making sleep better and completely eliminates snoring. CPAP users will often have immediate results which are overwhelmingly positive. 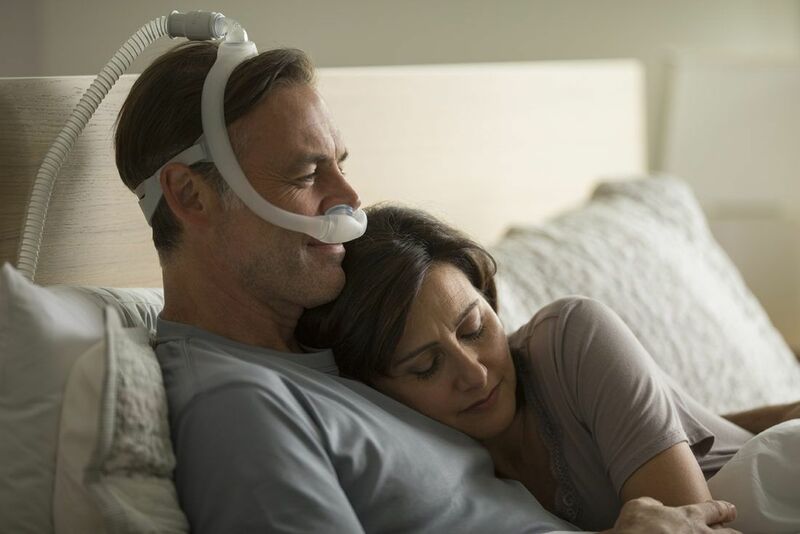 CPAP improves quality of sleep, decreases daytime fatigue, lowers blood pressure significantly, reverses and prevents serious conditions such as stroke and heart disease, and increases alertness during the day. This makes CPAP a far better choice for Obstructive Sleep apnea. in dealing with sleep apnea is that the devices are uncomfortable, bulky, need electricity to function, and are loud. CPAP use over time may cause some crummy side effects such as the loss of smell and taste. However, because of the undesirable entailment and uneasiness of CPAP, obstructive sleep apnea patients often look for other treatments. Some instead decide to use nasal strips instead. Consequentially, many who are diagnosed with obstructive sleep apnea either give up using their CPAP device after a while of using it or refuse CPAP therapy completely in the first place. However, those who use a CPAP machine usually find that using both breathe right strips sleep apnea nasal strips and CPAP makes it a lot more comfortable to breathe with the machine at the same time. By deal with your sleep apnea, you will be positively impacting your life by increasing your energy, attentiveness, and overall well-being.